You won’t find a better way to connect with nature than hiking in Ireland. Firstly there’s the colours; the lush green countryside, the deep blue of the Atlantic Ocean and the red hue of a morning sunrise. Then there’s the sounds; busy native wildlife, waves crashing against the cliffs along the Wild Atlantic Way, trad music and laughing locals in the famous pubs. Let’s not forget the taste; creamy cold Guinness, luxurious Irish butter and fresh summer strawberries. 1. How will I get there? Dublin is Ireland’s main airport and most tourists visiting the country will land here. There are direct flights to the UK, USA and most major European cities. A wide network of connecting flights has been established over the years and it’s easy to reach Dublin from all over the world. We can also provide Airport transfers if needed. 2. What is the best route for me? Choosing your route is all about personal preference. Some hikes are more difficult than others so you should consider this before you book. Another important element to consider is the amount of time you have to explore Ireland. For instance the Kerry Camino can be completed in 4 nights, whereas the Kerry Way is up to 10 nights. Although every route has points of interest they have differing charms and a diverse range of experiences. Your best bet is to contact our travel specialists who will be able to help you chose your own perfect trip. Or check out our most popular routes here. 3. Is it easy to book? Booking with Irelandways.com is really simple. Contact us here and let us know what your looking for and we’ll do the rest. We book your accommodation, organise luggage transfers and provide you with detailed walking notes. All that’s left is for you to enjoy your trip to the emerald isle. The weather in Ireland is unpredictable, there’s just no getting around that. The best time of year to go is undoubtedly the summer, between May and September. 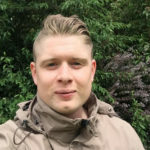 Spring and Autumn are great times to travel for experienced hikers who prefer crisp cool air and don’t mind getting a bit wet from time to time! It’s important to pack for a range of weather conditions. Check the weather forecast a week before you go but remember to take it with a pinch of salt. The locals will tell you that sometimes they leave their house with sun block and an umbrella. Make sure that you bring a backpack that you can carry on the trail as your main luggage is being transferred to your next accommodation. Good walking shoes are an absolute must. You need to break them in before begin your hike in Ireland to avoid blisters. You can find loads more info on what to pack in our handy guide here: Packing Essentials for Ireland. 6. How should I prepare? If you want to make the most of your trip preparation is essential. There’s nothing worse than huffing and puffing up a hill when you could be enjoying beautiful scenery. We’ve compiled a handy preparation e-book and it’s totally free! It contains information on nutrition, stretching, how to avoid injury and a concise training plan. 7. Are the trails well marked? The trails in Ireland are quite well marked and are being constantly maintained and improved. You are never too far from civilization on the trail;s and locals are friendly and helpful to tourists. We work very hard at keeping our walking notes clear concise and up to date here at Irelandways.com, so if you follow them you won’t get lost. 8. What should I eat and drink? This really depends on which route you chose. Ireland has a vast array of regional culinary delights. When in Dublin try the prawns, if you’re in Cork it’s got to be The Black Pudding. If you visit Dingle you’ll find some of the best locally sourced salmon on the planet. No matter what you chose to eat, you should was it down with a creamy pint of Guinness. 9. What is the culture like? The Irish are a very prod of their tradition and roots. The native language (Gaelic) is still predominantly spoken in some regions and you may experience this on your travels. Music is deeply routed in the culture here, make sure you check out a trad music session. The best place to find one of these festive celebrations is in a pub. You can find everything you need to know about culture in our free Beginners ebook. 10. Is the terrain challenging? The hiking trails in Ireland traverse many different terrains. On most routes you’ll find a mixture of country roads, trails and Forrest Tracks. The difficulty varies depending on the route you chose. The Barrow way is flat for the most part, however The Kerry Way and Wicklow Way are quite mountainous in parts. Whichever route you chose, you will be immersed in the flaura and fauna that makes the island famous. For more information on any of our walking and cycling tours please contact our travel specialists. Dear Kathleen, thank you for getting in contact. 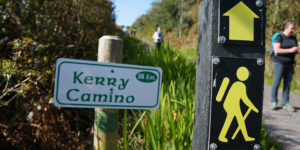 These are some ideas: The Kerry Camino in the Dingle Peninsula is a beautiful short hike: https://irelandways.com/ways/kerry-camino/kerry-camino (3 hiking days, 4 nights) and one of our clients’ favourites. The Wicklow Way finishing in Dublin city is another popular and beautiful hike: https://irelandways.com/ways/hiking-wicklow-way/hiking-wicklow-way and the Giant’s Causeway has spectacular scenery: https://irelandways.com/ways/causeway-coast-way/hiking-the-causeway-coast-way. Any time from May to September is perfect for hiking in Ireland. Let us know if you need any additional advice, a trip quote, etc… and our Customer Care team will be in contact. Kindest regards.